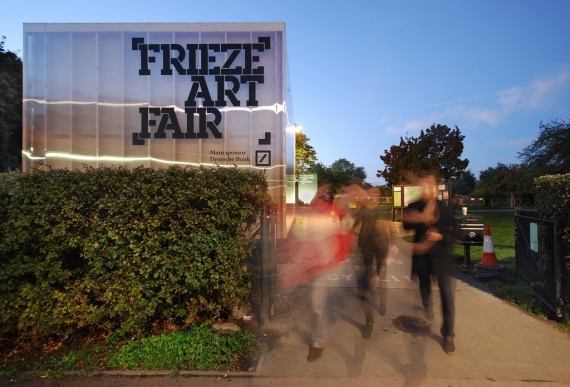 Wondering what 2013 has in store in terms of conferences and events, art fairs and festivals? We take a look ahead to provide a snapshot of things we think are worth noting in your diary. Aid & Abet will be taking over the gallery at Kettle’s Yard to programme a season of exhibitions, complimented by events, discussions and performances. Focuses on work dealing with transitions and thresholds and the evolution and transformation of image, material and object through pathos, humour and a meticulous approach to process. A seminar on the nature of collecting, what it means to be collector and what defines a collector of contemporary art. With Sarah Elson in conversation with Mark Rappolt, Editor of Art Review. A platform for performance, installation, music and art events curated by Franko B in support of the Southwark LGBT Network. A knowledge exchange seminar exploring key issues in participation and engagement in the arts across the north of England. One day seminar focusing on public art and socially-engaged practice and access to EU cultural funding. This unique event offers a rare opportunity to hear leading national and international artists, curators and funding specialists in the field, and is open to all who have an interest in art in the public realm. The event is presented by Milton Keynes-based public art project On the Verge, in association with MK Gallery. One of the UK’s most significant events in which to experience genre-defying performance and unusual contemporary practice in all its guises. Over 50 artworks spill out from Bristol’s leading arts spaces (Arnolfini, Circomedia, Wickham Theatre) and into the city’s docksides, urban glades, and alleyways. Symposium exploring the role of art in social relations and the turn towards participatory and collaborative art forms and the ethical questions that raises. What are the implications of involving art and its audiences in an ethical problem? And how do such practices relate to art’s social institutions? Features a keynote by Professor Shannon Jackson and contributions from Wafaa Bilal, Not an Alternative, Wochenklausur, Ztohoven, Renzo Martens, Grupo Etcétera, Gavin Grindon and Anja Kanngieser. International artist-run art fair whose mission is to provide a showcase for artists’ initiatives and to create opportunities for new networks in the Swedish as well as the international art scene. Features exhibitors from 35 countries. Aimed at teachers, artist-educators and arts organisations looking to develop a deeper knowledge and understanding of contemporary craft and design, and how handling collections can be used as a tool to initiate creative enquiry and cross-curricular learning. Provides opportunities to network, explore and design learning activities and take part in artist-led workshops. Brings together galleries, art organisations and curatorial groups from around the world who focus on kinetic, electronic, robotic, sound, light, time-based and multi-disciplinary new media art, science and technology. Collectively showing over 400 works of art. Busy and fast-paced event providing information and tips from artists, arts organisations and other experts on professional matters. Organised by a-n.
27 February, 2.30pm, Embrace Arts, Leicester. RSVP your name and address to [email protected] with AIRTIME Leicester in the subject box. More info here. New modern and contemporary art fair featuring over 120 UK and international galleries from over 30 countries from across the globe. Created by the team behind Art HK, it presents an exceptional opportunity in London for both seasoned and new collectors to discover modern and contemporary art from the Americas, Europe, Asia and South Africa. Based on the theme of ‘Inter-nationality’ the festival showcases collaboration both between artists and with the public, educational opportunities and workshops for all (schools, colleges public, artists) as well as talks and demonstrations. Outputs will take the form of a catalogue of contemporary printmaking in UK and from selected international groups, public art and a two day symposium on aspects of printmaking. Event exploring the relationship between different formats of exposing artistic practice as research: the concert or installation, the research catalogue entry and the lecture performance. Six artists will present works created in response to an experimental setup defined for the event by Florian Dombois and Gerhard Eckel. Theoretical contextualisations and extensive discussions will complement the exposition of the works in the different formats. Sixth edition of the UK’s leading international contemporary festival of photography. The theme focuses on several aspects of factory and working life including: automation; live to work/work to live; and the products and impacts of factories through exhibitions, performances and related programmes. Encompasses a wide array of genres and interests from street photography, journalism and documentary to art, film and more. Hosted by the Special Collections Centre, University of Aberdeen in partnership with NEPAN, (an artist-led North East Participatory Arts Network) and engage Scotland. An opportunity for creative professionals working in the North East of Scotland to meet and share ideas. Busy and fast paced event providing information and tips from artists, arts organisations and other experts on professional matters. Organised by a-n.
A meeting point for arts practioners interested in new technologies and how they can be applied in the arts. Brings together leading researchers and practitioners from academia and industry to present and discuss their innovative work. Exhibition launch of recent works from shortlisted artists Emily Speed; Joanne Tatham and Tom O’Sullivan; Margaret Harrison; and Rosalind Nashashibi accompanied by a series of evening talks with their respective nominators. 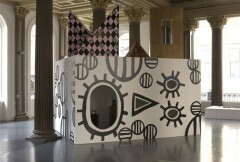 The Northern Art Prize celebrates contemporary visual artists based in the North of England. Founded in 2007, it has established itself as an important award – recognised nationally as a relevant profiler of artists working in the North East, North West and Yorkshire regions. A unique series of masterclasses for practitioners, artists, academics and students exploring the art of sound in film, the arts and media. This year’s presentations focus on sound art, animation, cinema, dance, radio, music, children’s programming, environmental soundscapes and non-verbal communication. Major collaborative research project incorporating a conference, symposia and exhibition which asks how we are dealing with the remains of live art today. Drawing on creative, curatorial and research strategies, this project stages a wide-reaching investigation into the problems and potential of performance and its documents. ArtWorks conference in partnership with the Higher Education Academy and Creative & Cultural Skills. Bringing together HE and FE providers, artists and arts organisations, the conference is developed in order to share success and learning, support better collaboration and partnership working, create enhanced demand-side knowledge, develop next practice provision and inspire new thinking about student employability. Conference for the creative industries, bringing together leaders in the sector from across the globe to discuss the pressure points of the industry. Topics for the day include creative entrepreneurship, digital innovation, digital diversity and also a look at the creative industries six months after the Olympic and Paralympic Games. Established as an artist led fair, The Other Art Fair leads the way in uncovering and nurturing new and innovative creative talent, allowing artists to forge direct relationships with potential buyers and gallerists. It attracts over 7,000 art buyers, with guests including representatives from the Blain Southern, Timothy Taylor, Rosenfeld Porcini, Gazelli Art House, Saatchi Gallery plus many more. Welcoming over 50 specialist exhibitors from around the world, this is Europe’s longest running fair dedicated to printmaking. 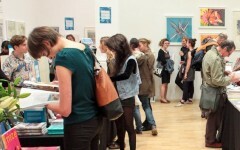 Now in its twenty-eighth year, the London Original Print Fair also offers several leading fine art print and publishing studios a platform to showcase works by contemporary artists including Paupers Press, Himmelblau Printmaking Inc, Finland, Glasgow Print Studio, Edinburgh Printmakers, Pratt Contemporary Art/Pratt Editions and Advanced Graphics among others. One-day conference presented by the What Next? alliance to explore new ways of promoting engagement with and support for the arts. Encouraging an engaged, informed and inclusive national conversation; and with the aim of implementing innovative, effective campaigns. Contemporary arts festival that showcases artist-led projects with a full programme of visual arts, performance, music, screenings, open studios, artist talks and workshops taking place throughout the month of May. An exhibiting and selling platform for artists inspired by the structural and conceptual properties of the book form. 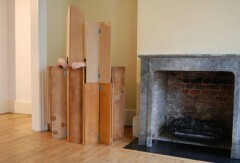 Works selected this year by Les Bicknell, Nicola Dale and Tanya Peixoto. Also features the Norfolk Longbook community project. Event drawing together exceptional talent from the worlds of technology, media, science, industry and the arts. The centre-piece for a flourishing network of people who work within the digital and creative sectors. Fourth international festival and conference of live art and performance studies. The 55th edition of the renowned art extravaganza. This year’s international exhibition, curated by Massimiliano Gioni, is entitled The Encyclopedic Palace taking its inspiration from Marino Auriti who, in 1955, unsuccessfully filed a design with the US Patent Office depicting his Palazzo Enciclopedico, an imaginary museum that was meant to house all worldly knowledge, bringing together the greatest discoveries of the human race, from the wheel to the satellite. In the section dedicated to individual national pavilions, countries participating for the first time are: The Bahamas, Kingdom of Bahrain, Republic of Kosovo, Kuwait, Maldives, Ivory Coast and Nigeria (with African countries) and Paraguay. 5 June, 3pm, Creative Foundation, Folkstone. RSVP your name and address to [email protected] with AIRTIME Folkstone in the subject box. Leading ceramics event offering teachers, students, ceramic artists, collectors, working potters and amateurs the chance to meet and study the work of distinguished, internationally known potters and ceramicists from Wales, the UK and around the world. Comprises lectures, exhibitions and practical demonstrations, the focus of which is both practical and inspirational – kilns are built, pots are made and fired. Conference focusing on maximising the learning and possibilities that digital technologies have to offer, and to refocus the importance of creativity for the arts, technology, education and the museums and heritage sectors. International speakers include: Howard Rheingold, Matt Mason, Jenny Sealey, Julia Unwin and many others who will present ideas and give provocations in a format inspired by the world renowned TED conferences. Although details of the visual arts programme are still to be announced, previous editions of this biennial festival have produced some dazzling world exclusives, including in 2011 The Life and Death of Marina Abramovic, featuring Willem Dafoe, Antony Hegarty and of course Abramovic. This year’s details to be announced on 28 February. Annual conference promoting the development and application of electronic visualisation technologies, in art, music, dance, theatre, the sciences and other fields. Tenth edition of the festival, Scotland’s largest annual celebration of visual art attracting over 250,000 visitors each year. Bringing together the capital’s leading galleries, museums and artist-run spaces, alongside new public art commissions by establised and emerging artists and an innovative programme of special events. Cross-disciplinary programme of contemporary art spanning the historical Trans Pennine trading route including Liverpool, Blackpool, Stoke on Trent, Manchester, Sheffield, Leeds and York and their surrounding towns and villages. Among the wide variety of elements are publicly-sited works, exhibitions, performances, films, experimental printed matter, online projects and interviews, aiming to emphasise collaboration over competition and to celebrate the wealth of independent artist-led activity and networks across the regions. Annual event that celebrates the best of international contemporary art publishing. Showcases a diverse range of work ranging from individual artist publishers to galleries, magazines, colleges, arts publishing houses, rare book dealers and distributors. Considered one of the most prestigious biennials alongside Venice, Sao Paolo and Sydney, the Istanbul Biennial prefers an exhibition model that enables a dialogue between artists and the audience through the work of the artists instead of a national representation model. Taking ‘Mom, am I barbarian?’ as its title and conceptual framework (a reference from poet Lale Müldür‘s book of the same title), the focal point of the thirteenth edition is the notion of the public domain as a political forum. Curated by Fulya Erdemci. Back for its third edition, the festival once again takes over the original Spode factory site. In addition to the FRESH exhibition showcasing the best of the current crop of UK ceramics graduates, there will be a strong international flavour with work on display from France, Norway and China. In the city centre, the prestigious AWARD exhibition will return to The Potteries Museum and Art Gallery with a special prize of £10,000 for one of the selected artists displaying exceptional creativity in their work. The 11th edition of the art fair organised and produced by the people behind the magazine of the same name. Features 175+ leading international galleries as well as a sculpture park and a lively programme of projects, talks, films and The Emdash Award. Major annual event that brings together arts and education professionals to discuss the challenges which education in galleries and the visual arts face in a period of change. Full programme to be announced. This annual event in Leeds was first held in 2007 and is organised by Thought Bubble, a not-for-profit organisation that seeks to promote literacy and artistic skills through the medium of sequential art. This year it will include a two-day academic conference. Full details are still to be announced. Over 3000 artists are expected to attend The Art Party Conference on 23 November. Bob and Roberta Smith’s imaginative collaboration with Start Cameron, Director of Scarborough-based Crescent Arts will showcase a wealth of artistic talent with opportunities for debating the future of arts and education. There will be artists’ interventions, performances, film screenings, music, readings, happenings, stands, stalls, speakers, the digital fringe and installations featuring artists including Jeremy Deller, Haroon Mirza, Cornelia Parker, John Smith and Mark Wallinger. This round up of conferences and events in 2013 will be regularly updated. Send details to [email protected] or use #artscalendar hashtag on Twitter. For more on effective promotion of your events to a-n’s large professional audience contact [email protected].